Fast food giant McDonald’s has offered to keep a Marseille restaurant open in its current format, in the wake of a public outcry and legal challenge that claimed its closure would threaten many locals’ jobs. 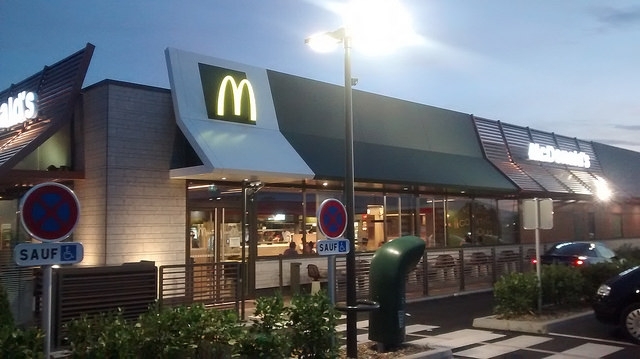 The McDonald’s in Saint-Barthelémy - north of the city - had been at the centre of a campaign to keep it open amid fears that its planned change into an Asian halal fast-food restaurant under the company Hali Food, would threaten 77 jobs and contribute to the area’s high unemployment problem. In the local area, 40% of young people are said to be out of work. Staff members said that the €500,000 that the new McDonald’s franchisee Mohamed Abbassi - who owns eight other McDonald’s restaurants - had pledged to invest in the site was “too little too late” and branded the planned closure and change “thinly-veiled social engineering”. McDonald’s France has maintained that the restaurant is loss-making, and said it had built up a deficit of three million euros in the past 10 years. Despite this, it had said that all jobs would be kept in the restaurant change. But now, a judge at the Marseille regional court has ruled that there was an “obvious lack of human, financial and material resources” on the part of Mr Abbassi to enact his plan for the site. The judge effectively forbade the change from a McDonald’s into the Hali Food operation. Now, Mr Abbassi has offered to keep the current McDonald’s open (as well as six other sites that had been earmarked for closure) on condition that four senior staff members would leave. This would save over €400,000 in costs per year; “the equivalent of 30 junior staff roles”, Mr Abbassi told the Agence-France-Presse. But employees at the Saint-Barthelémy branch have rejected the offer, with representative lawyer Me Ralph Blindauer saying that there is “no way we are accepting this shameless and inadmissible proposal”. Mr Abbassi has also seen push back from staff at his other McDonald’s franchises, with staff claiming that accepting his company’s working conditions would mean losing many of their current contractual advantages. The prefecture of the Bouches-du-Rhône region has now called for “constructive dialogue” within “an atmosphere of mutual respect”, with discussions “resumed within the company to work on the proposals presented, in compliance with the obligations [that exist] to consult employee organisations”. Sébastien Bordas, vice-president of McDonald's France, commended the “outstretched hand” from Mr Abbassi, calling it a “courageous proposal”.